Comprised of volunteer musicians, the South Valley Symphony rehearses and performs at Gavilan College in Gilroy, CA. Under the direction of Maestro Henry Mollicone, the orchestra presents two concerts every year: one in the winter, one in the spring. Yvonne and Norman joined the orchestra in 2001 with Yvonne switching between second (tenor) and third (bass) trombone with Norm on principal trombone. 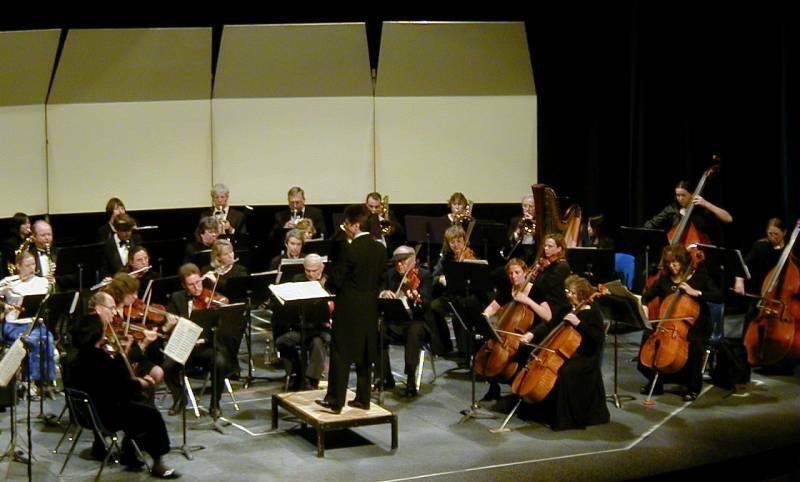 In performance on March, 11, 2000, Norman sits in the back row just to the right of Maestro Mollicone's head and Yvonne plays second trombone beside him.